Russia's Rusal believes a combination of bullish physical and technical factors that emerged in recent weeks will send the benchmark aluminium price to challenge the April peak of $1,900 a tonne this week and possibly $2,000 in the coming months. The three-month aluminium price on the London Metal Exchange has shed a third since touching a peak of $2,803 a tonne in May 2011, weighed down by overproduction and surpluses. But it has recovered 14 percent since touching a 4/1-2 year low in February. United Company Rusal Plc , one of the world's biggest aluminium producers, pointed out in a statement that LME aluminium stocks have dropped to the lowest levels in 13 months. LME stocks fell another 7,600 tonnes on Monday and have declined 5.5 percent so far this year, but are still at 5.15 million tonnes. 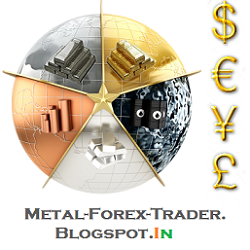 "The stock trends through 2014 clearly support the view that the market is in significant deficit," Rusal said. 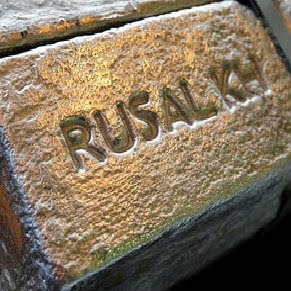 Rusal has previously forecast that the market is expected to have a market deficit of about 1.2 million tonnes this year and a further deficit of 985,000 tonnes in 2015 due to strong demand and capacity cutbacks by producers. Rusal also sees the declining LME cash-three month spread as indicating tighter conditions that are supporting the market. The contango - when nearby prices are weaker than forward ones - has declined to $24 a tonne from $45.50 a month ago. "The contango represents the carrying cost for long only investors (index funds and macro hedge funds) who may be encouraged to return to the market, as well as a disincentive to market 'short' players," it said.